By Agus in WordPress. Updated on July 27, 2016 . If you own a WordPress site, you must know of or are using the WordPress comments to engage with your readers. The default commenting system leaves a lot to be desired though, so it’s a good thing that there are plenty of WordPress plugins out there that you can use to hack the comments section with cool upgrades and better control. Listed below are 18 WordPress plugins that allow you to better engage your readers by allowing them to subscribe to comments, tag or mention another commentor by name, toggle open or close comments section for certain pages, limit the length of comments or even rank your commentors in a leaderboard. Tell us which plugin you will be using in your WordPress site. Postmatic allow readers to subscribe to a comment in your blog, so that if there are any replies, they can receive notification about it. They can also reply to the comment directly via email. This plugin by Yoast lets you hack the WordPress comment system with a few upgrades such as email notifications, limiting minimum number of words in a comment, redirecting users who have left comments to a thank you page, or even send a campaign to all commentors. Inline Comments adds a comment bubble icon to the side of a paragraph or section, where readers can add their comments by clicking on it. The comments will go to the native WordPress comment place (the bottom of article) with a reference link to the paragraph where the comment added. You will also notice a number in the bubble icon which indicates the number of comments in the paragraph. By default, when a reader makes a mistake when filling up a comment form (such as missing a field), WordPress displays an error message on a new page, forcing the user to go back a page to correct their mistake. WP Ajaxify Comments adds AJAX functionality preventing the browser from reloading a new page when validating or adding new comments. Error messages will display in the same page. wpDiscuz lets readers discuss, vote up/down and share a comment . There is also a Live Update mode that updates new comments as they come in. The interface is also customizable within the plugin options on the dashboard. If you don’t want comments at all on your site, Disable Comments lets you do this throughout the site or for a certain post type. This means trackbacks and pingbacks are also disabled, and will also hide comment-related fields from the edit or quick edit screens. This plugin lets the reader directly mention other commenters when leaving a comment on your site. When typing @ on comment input, then will show an autocomplete list of other commenters. When submited, the commenter’s name in the comment will become a link reference to the person. While the default WordPress settings allows you to whether disable or enable comments on all page and posts, this plugin gives you more flexibility to choose to enabled or disable comment by default on all new posts, pages and also custom post types. It also lets you enable or disable individual posts or pages. On your dashboard, this plugin adds a color indicator to all posts that shows whether the comment status of the post or page is open (green) or closed (red). To change the status, toggle the indicator by clicking it. If this time your web visitors can only comment with the text, then this plugin allows them to insert an image or document into the comments. You can determine what file types are allowed to be attached, set the input field position, mark required fields, restrict file size, and other options. With this plugin, you can limit the maximum number of characters that can be inserted by readers in the comments field. This plugin also displays the characters left and the number will be updated as readers type. Comment Guestbook allows you to add a guestbook page which uses the default WordPress comment system. To enable this plugin simply add the [comment-guestbook] shortcode to your page. You can then customize the guest book in the Options page such as changing the form position, text, hiding elements or how to sort comments and more. 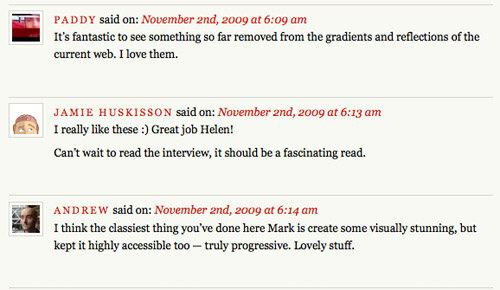 FV Thoughtful Comments brings the comment moderation interface to the front-end. Now a logged in user with permission can see all comments in the frontend, then enable moderation of the comments, including approving or deleting, and banning by IP, email address or domain. The Comments Leaderboard plugin will list and rank the 5 most active commenters for every month. This can engage your readers to be more involved in discussions, leave positive comments (not spam) and make your site more alive. Want to display unique things on your websites comments? Try this one. User Agent Comments will detect which browser or operating system that are being used by users, and then will display the browser icon next to commenter’s name. With Comment Control, you can choose to allowing comments or disallow them for incoming new posts or pages, as well as allowing or disallowing pingback. With this tool, you can also turn on/off all comment statuses on entire posts/page you have. Readers may want to say something that needs emphasis, but in WordPress by default they can write comments only in "flat" text. This plugin will display a button on top of the comment form allowing formatting like bold and italic, adding links and quoting text. With Comment Redirect you can set a thank you page which visitors will be redirected to. You can also ask readers to subscribe to your site after leaving a comment, or ask them to like your Facebook page or follow you on Twitter.